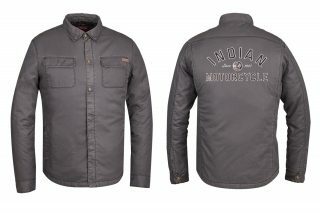 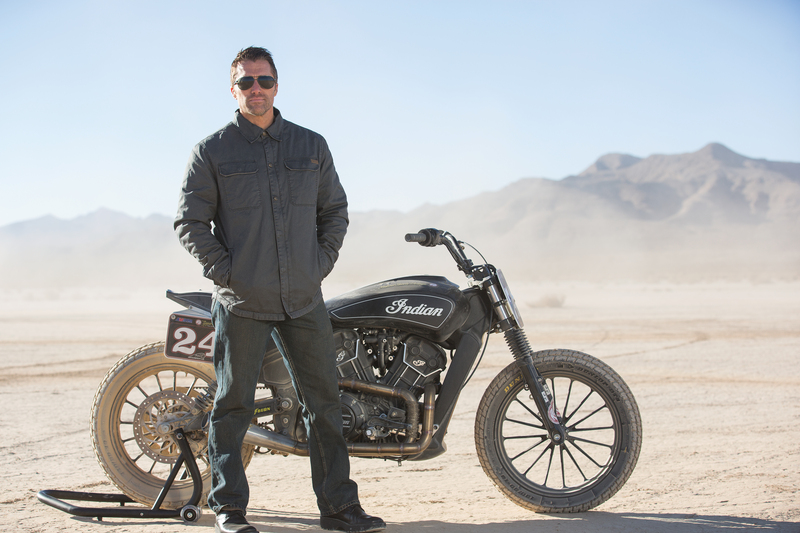 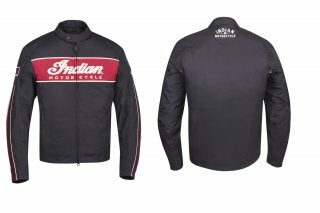 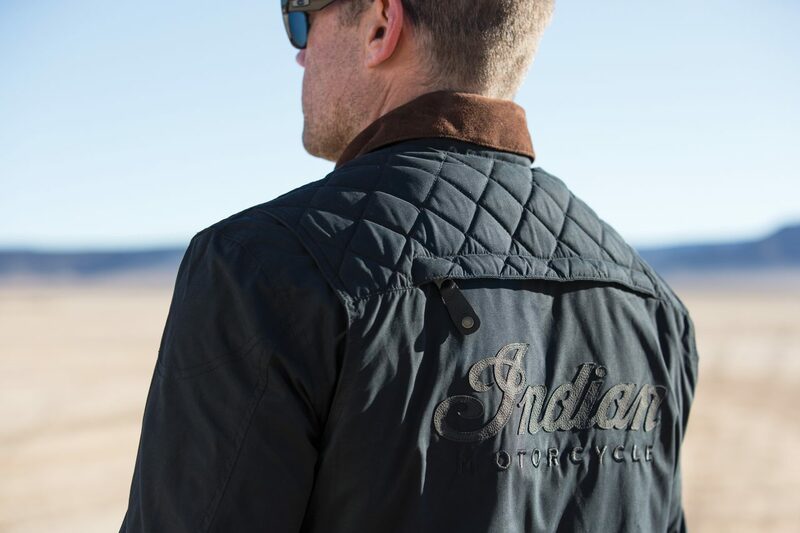 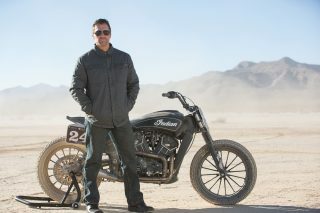 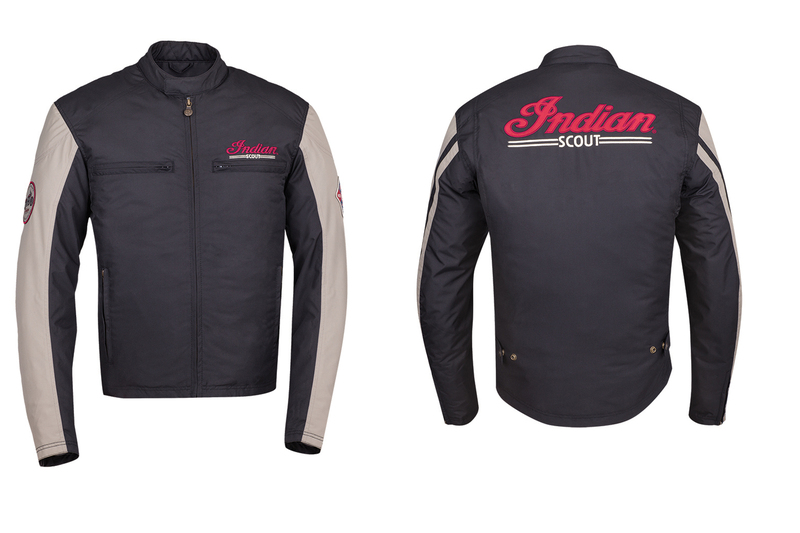 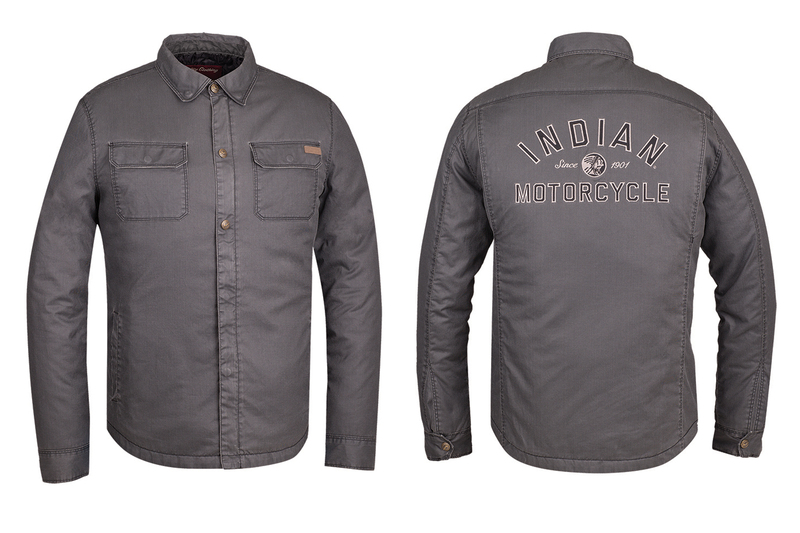 Kick off the riding season with these four new jackets from Indian Motorcycle. 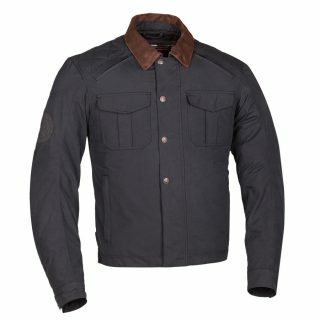 Out of the four new additions, the Frontier Jacket is the one to ride in as it has CE protectors over the shoulders and elbows. 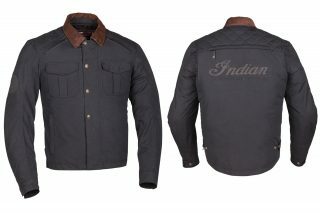 Visually it can be identified by its quilted pattern across the shoulders and the contrasting brown suede collar. 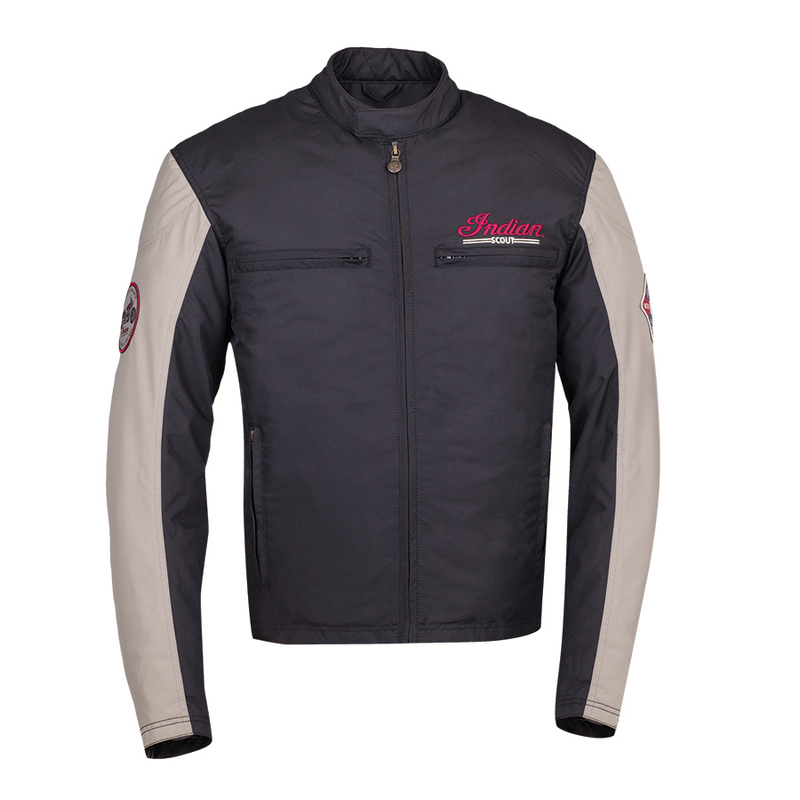 The outer material is water resistant and made from a micro fibre fabric with a brushed cotton effect. 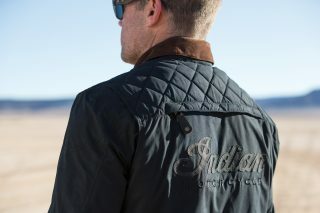 Vent zips are hidden away and there’s an inner quilted liner that can removed on warmer days. 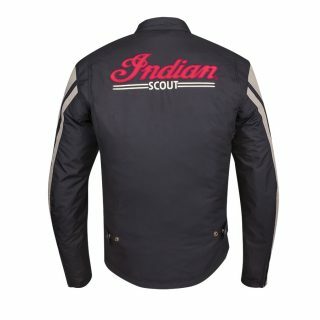 Sizes from S to 3XL. 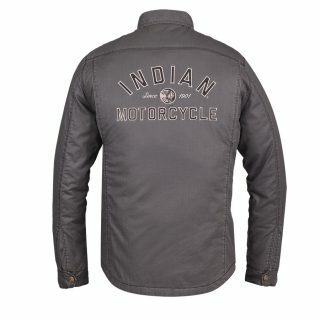 Part number 2866180. 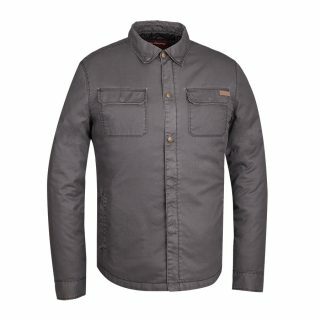 The new Oscar Jacket (below) is a shirt style and made from waxed cotton with a quilted lining. 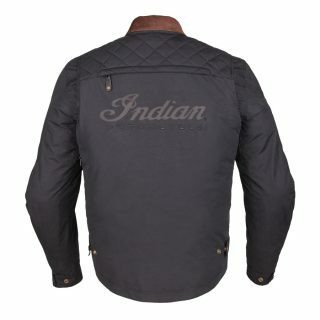 A bold black and white Indian logo is embroidered on the back. The snap down button on the collar ensures it stays in place during rides. 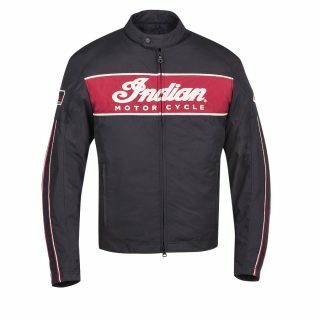 Part number 2866179 in sizes S to 3XL. 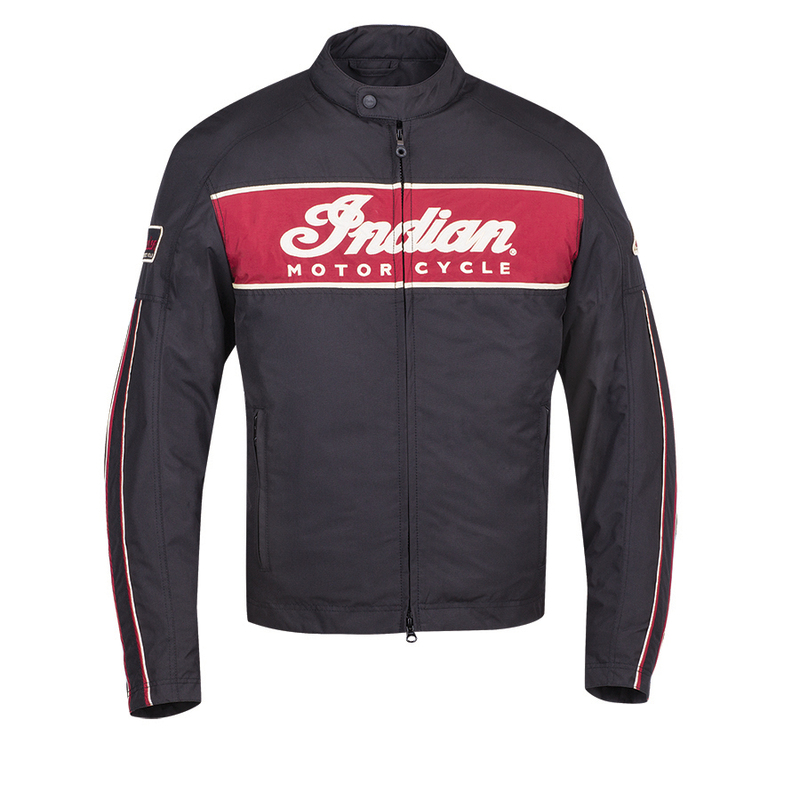 The final two jackets pay homage to the past. The Scout Jacket has exactly the same tank logo that’s on the bike embroidered on the back while the 1901 jacket has a retro red and cream logo across the chest and a subtle logo on the rear just under the collar. 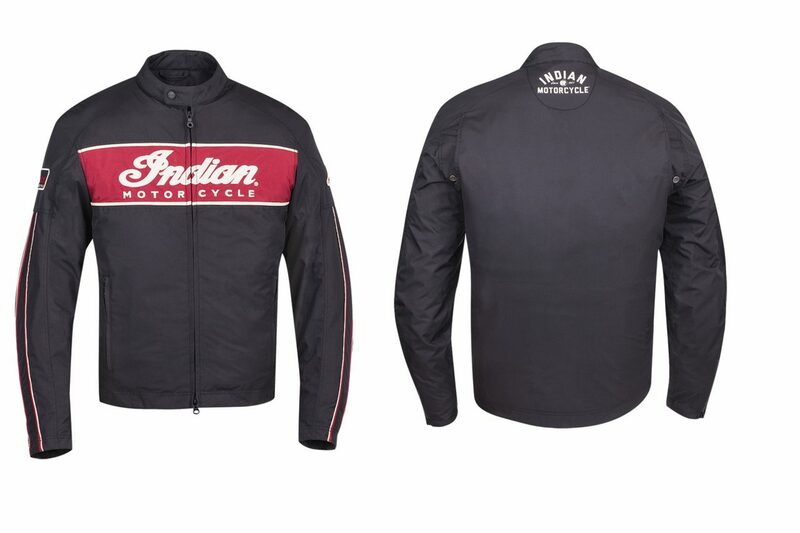 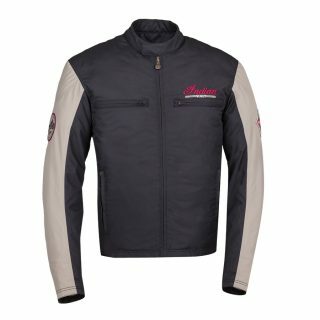 Retro race stripes down the sleeves further give this jacket a racing look to tie in with Indian’s return to the American Flat Track this year.